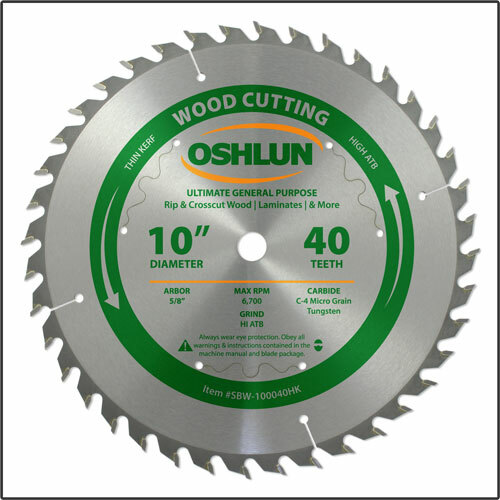 Our ultimate general purpose blade has been designed for cutting all types of hardwood, softwood, particle board, laminates and plywood with miter, chop, table, and radial arm saws. It features precision ground micro grain carbide tips, a thin kerf and a high alternate top bevel grind for the best possible cut finish. The ultimate choice for general purpose ripping and crosscutting applications where both cutting speed and supreme finish quality are important.